In the midst of a quickly modernizing city lie wonders of an ancient world. Make your way to Beijing, China and let yourself be mesmerized. 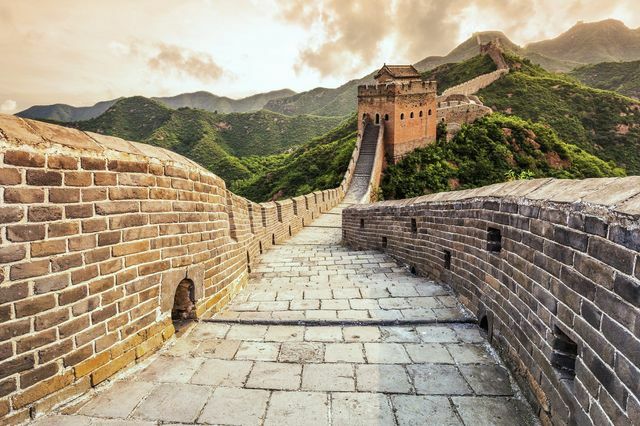 The Great Wall of China is one of the seven wonders of the modern world with meandering relics covering nearly 9,000 kilometers from east to west, offering breathtaking views. Built over several dynasties and almost 2,000 years old, portions have been beautifully restored for visitors to explore. The popular Badalang segment is accessible right from Beijing and the nearby town of Mutianyu presents a less crowded experience with an escape from the throngs of tourists. A honeymoon in the city of Beijing is a dream for couples interested in discovering a distinctly exotic culture. History enthusiasts will love the mysterious and otherworldly feel of the Forbidden city, which was the emperor’s quarter and off limits to the population for 500 years. Romantics can aimlessly explore the Hutongs in search of signature Chinese dishes and teahouses while the more adventurous can have a taste of strange critters at the night market. If a Beijing honeymoon sounds like your idea of a perfect adventure, learn more about this unique destination here. Spring and fall are the best times to visit Beijing. Summers are excruciatingly hot and winters are cold and bitter. Although these events can be exciting, during public holidays and festivals, attractions tend to be swamped with people. The Great Wall of China: Engineering feat of nearly 9000 kilometers with easily accessible viewpoints. Forbidden City: A massive collection of well-preserved palace buildings and UNESCO world heritage. Summer Palace: A lake side traditional palace surrounded by gardens, temples and pavilions. Tiananmen Square: The iconic massive public square on which very important historical events occurred. Chinese Cooking Class and Market Tour: Learn to concoct Peking duck and dumplings. Liulichang: A shopping street where one can find antiques, scroll paintings, souvenirs and teahouses. Rickshaw Ride in the Hutongs: These are the charming narrow alleyways and streets of Beijing. Temple of Heaven Park: Confucian design meets peaceful oasis in this urban park. 798 Arts District: A complex of restored former military industrial factories showcasing contemporary art displays. Ghost Street: Nosh on tiny spicy crayfish under Chinese lanterns on this popular restaurant street. Donghuamen: Frequented by locals and tourists alike for some scorpion skewers and typical Beijing flavors. Liyuan Theater: A cultural establishment featuring traditional Beijing Opera performances every night. 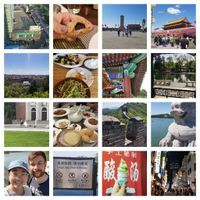 bah - Beijing, Tokyo, and Kyoto!